Mounting a dash cam inside your car is one of the best ways to protect yourself in the event of an accident. When it comes to claiming on your insurance, you will want to ensure that there are no issues with who is at fault of the accident. The best dash cam is the Vantrue N2 Pro, which features night vision, Sony sensor, parking modes and even has the capability of supporting 256 GB storage. Popularity of the dash cam has seen huge increases around the world with millions of videos online coming straight from them. Depending upon your budget, you are able to get high quality dash cams with a variety of features. On the majority of dash cams these days, you will see the option to turn on a “parking mode“. This to many is an essential feature and can help find culprits of car park dings, scratches and even those that bump into your car when parked up. The dash cam itself even acts as a deterrent to those planning malicious damage or even those that are attempting to steal your car too. To make your life easier, most dash cams record in segments and will continually record over the oldest clip to reduce memory card usage. If this isn’t a feature, you should seriously consider the drawbacks as it can be fairly frustrating having to deal with a memory card that reaches the capacity on a regular occasion. The budget you set aside for the dash cam will play a big part to the quality and functionality. Below is a list of the best dash cams that provide excellent HD quality and are easy to use without messing around before each drive. The Vantrue N2 Pro is the latest dash cam by the brand that has exploded in popularity due to the excellent functionality at an affordable price. It is a front and rear dash cam for your car that will support 256 GB SD cards to record all your driving. Overall, the Vantrue N2 Pro is the best front and rear dash cam you can buy with the added bonus of excellent night vision qualities. The specification of this dash cam speaks for itself and it will not disappoint with a surprisingly affordable price considering the feature list. The Rexing V1 is an affordable dash cam that under 100 dollars is highly popular throughout the US. However, unlike many of the cheap alternatives, the Rexing V1 includes many features that you would find on premium dash cams. The Rexing V1 provides excellent quality at a wide angle providing as much detail of the road as possible. It also features a large variety of dash cam luxuries and provides great value for money and wins the award for the best dash cam under 100 dollars. The KDLINKS DX2 dash cam is a premium example that is designed to provide the best possible quality for those that travel mostly at night. This is thanks to the F1.6 Six-Glass lenses with the WDR video system. Full HD Video at 1920 x 1080P at 30 FPS. KDLINKS DX2 is a high quality dash cam that provides all the functionality you could want. However, compared with the Vantrue N2 Pro mentioned above, it does lack in some areas but nevertheless, it is still a great dash cam. Finding a budget dash cam that actually provides high quality video footage and various features can be fairly difficult. However, Aukey have done exactly that and you even have the ability to add a GPS antenna for additional functionality. Overall, the Aukey is the best budget dash cam and the compact size makes it great for a stealth look. 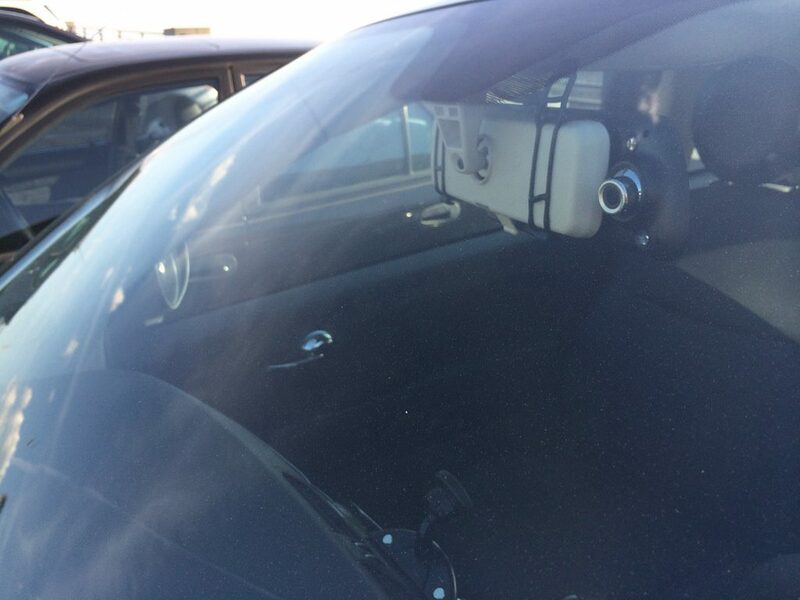 Many people mount this dash cam directly behind their rear view mirror, which makes it harder for other motorist to see. The Z-Edge dash cam is known for providing excellent high quality footage at a budget cost. 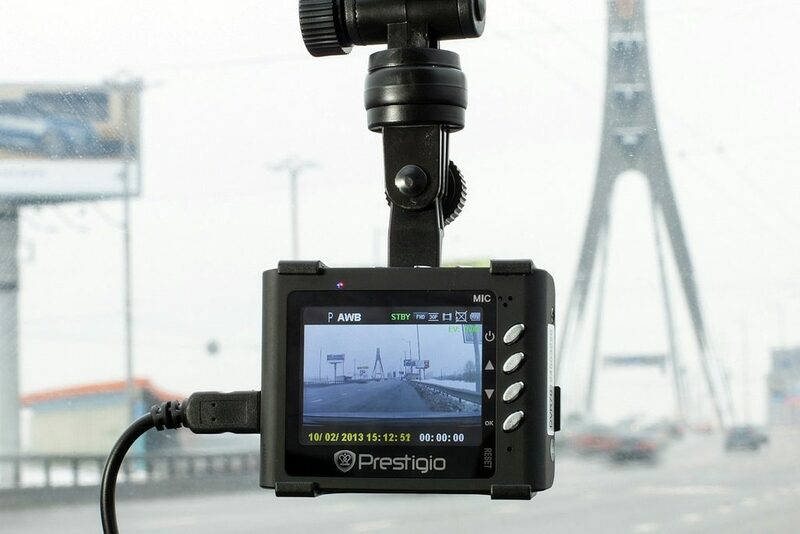 The compact thin structure of the dash cam mated with a 3 inch scratch resistant LCD display looks great and the unit itself is able to operate in both hot and cold temperatures. Overall, the Z-Edge Z3 is an excellent all rounder and is a dash cam under 100 dollars for those that are on a budget. It comes with a 18 month warranty too for peace of mind. If you have watched any wacky traffic or news videos on YouTube or TV involving cars and trucks, then you are probably watching content that was recorded by dash cams. Since their inception, dash cams have become very popular. Not only are they used for recording videos to document one’s journey but they can be used for fun or for insurance purposes in legal proceedings. There are several brands and models available in the market. In this buying guide, you will get to learn factors that need to be considered when shopping for the best and which models are perfect for you. This is the most important factor that you have to consider. Why? The video resolution of a dash camera determines the quality of the video. If it’s low, it will be difficult to note important features for example the plates of another car or the faces of other road users. It is common when shopping for particular models to find out they are listed as having HD quality capability but in reality they are not. We highly recommend viewing footage available online to see the sort of quality that you can expect and if you travel mostly at night, look for videos in poor lighting conditions. A dual dash cam (also known as a front and rear dash cam) are excellent for those that want all round video footage. You may be an Uber or simply drive with passengers in your vehicle a lot of the time. It is also beneficial in case you are in an accident because it can show you were not distracted whatsoever during the accident. You will often pay a premium for this type of functionality but the Vantrue model recommended within this article is by far one of the best option to choose. Majority of newer car models come with safety features like Lane Assist, Reverse Camera, Pre-Collision Detection, Front and Side Airbags. There are car owners who would like to add more safety features especially when it comes to parking. This calls for a model with parking mode and motion detection. The feature is common with high end brands and models and is useful when you car is turned off. When this happens, the dash cam itself stays awake. It helps to detect other cars or pedestrians before beginning to record for a set amount of time. The model features a built-in G-Sensor that helps to detect and record on impact. As a result, you will get to have evidence of any hit and run together with any vandalism that may occur in your absence. The video footage can also be used when seeking compensation from an insurance company too. It can also be used when reporting to the police on matters pertaining to robbery finally assisting in an investigation. The good thing about this feature is that the recorded footage is locked. This means that the device will not overwrite during recording which calls for a larger SD card. It is also wise to backup the data in external storage devices so as to provide more space to the SD card to store more footage. The best dash cam comes with a medium of storage that allows the recordings to be captured and saved. MicroSD is the most preferred method of storage. Why? Because SD cards are fitted with flash modules. Not only do they allow read and write functions but data accessibility is done at very high speeds unlike HDD. The most common storage capacities available include 16GB, 32GB, 64GB and 128 GB. When purchasing, it is important to ensure that your SD card has a minimum speed rating of Class 10. in order to keep up with the recording. Furthermore, regular monthly formatting should always be done. This feature can be accomplished via the dash cam menu. It only takes 5 to 10 seconds and is the most recommended method. Formatting on a PC may corrupt the module resulting in permanent damage which means you will have to spend more money to buy a new one. It is also important to note what type of SD card is compatible with your model. You don’t want to buy 128GB SD card for a device that supports only 32GB or 64GB. Furthermore, you need to be cautious about fake models. They are cheap and fail within the first month of use. Always shop for models produced by reputable brands. Today, video is not enough especially if you are planning to use it as evidence when it comes to legal proceedings and insurance claims. When accompanied with audio, it helps to act as solid evidence for different cases. When driving, it is common to have altercations with other drivers. You may not be the one who started it but another angry driver(s) did. When this happens, you will surely appreciate the use of a dash cam. Not only will it record video footage but it will sync with audio and other sounds. This means that the model comes with a built-in microphone. The lens angle of the dash cam is an important feature that works best with HD quality video resolutions. The feature allows your dash cam to record a wider area of the front and back and capture more detail of the road. It also has the benefit of allowing the lens to capture more in frame without compromising on clarity and sharpness. Furthermore, it eliminates chances of distortion. Narrow lenses are not bad either. They help to pick finer details like license plates. Since the cameras are used for evidence purposes, wide angle viewing is much better. The preferable lens angle should range between 125 to 150 degrees. In normal circumstances, dash cams are powered by the car. They are usually connected via the cigarette lighter socket using a power cord. However, for continuous running when the car is not in use, it will need an alternative power source. Many can be wired into the cars wiring system and run from the car battery when the car is switched off. Vantrue even offer the option to use the OBD port as a source of power too but again, this will need wiring. Ultracapacitors are common with high end models. They are known to withstand high temperatures and provide charge for long than built-in batteries. If you find a model that contains both – high quality built-in battery and ultracapacitor, then we highly suggest you purchase it. When it comes to installing the dash cam, there are various methods of mounting it to your windscreen or rear view mirror. Many cheaper models will use a suction cup but these are known for being bulky and falling off easily. Using a flat adhesive mount or double sided sticky tape that leaves no marks are your best option. There are many car glues that can be used too for superior resistance to vibrations, temperature changes and large bumps in the road. Loop recording is a great feature that saves you when the storage space is full. Instead of the device cutting off recording in the middle when disc space is not available, loop recording prompts the camera to overwrite older files. This allows continued recording to occur especially if you were on a long journey and no means to purchase an extra SD card. If your camera is fitted with G sensor, the files will be marked. Wi-Fi connectivity is another useful feature. One thing you need to note is that Wi-Fi capability does not allow you to browse or connect to the internet with the camera.Instead, you are able to connect the camera with your smartphone or tablet. As a result, you can view the footage on a larger screen when travelling. Wi-Fi connectivity works with select smartphone apps which allow you to change different settings for better coverage. 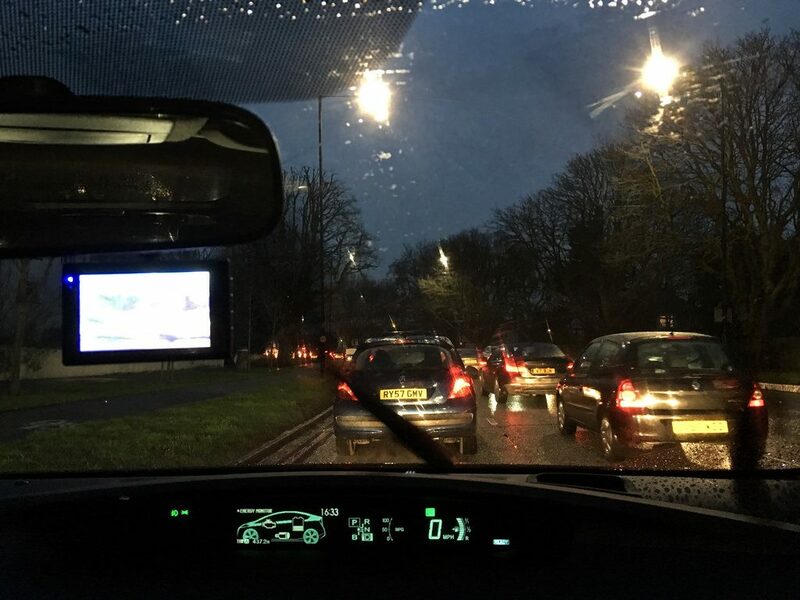 Dash cam will continue to evolve every year and we aim to update this article on a regular basis to reflect the improvements. All of our recommendations are suitable for a range of budgets and you will not be disappointed. Installing a dash cam into your vehicle provides great peace of mind when it comes to being covered in the occurrence of an accident. It can also provide crucial evidence for other road users that may also be involved in an accident. Below sums up the 4 main reasons to own one in an infographic. Currently, using Falcon zero 170, that’s impressed to me. Thinking to upgrade to 360+. I was looking for best reviews about Falcon 360+. I found here your detailed review about Falcon 360+. Your review helped me a lot to buying Falcon 360+ dash cam. I am glad you mentioned the Z Edge car dash camera. There are many that are over double if triple the price without the same high quality video. Its important to have the best dash camera onboard because you could regret it by going with a cheap version! !